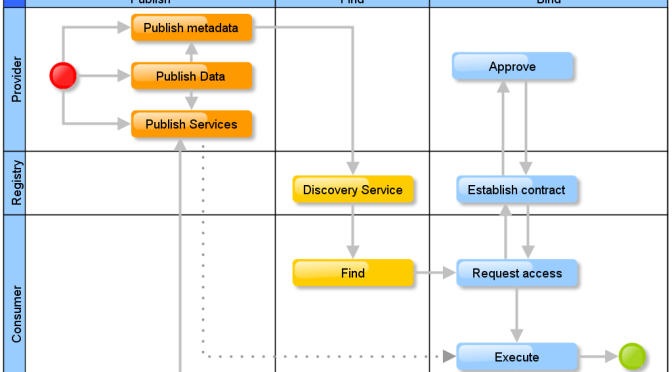 MapIT.biz models are graphics, diagrams and illustrations visualizing common and intricate technical concepts. The models are free for you to download, modify and use in your your own presentations and publications free of charge. 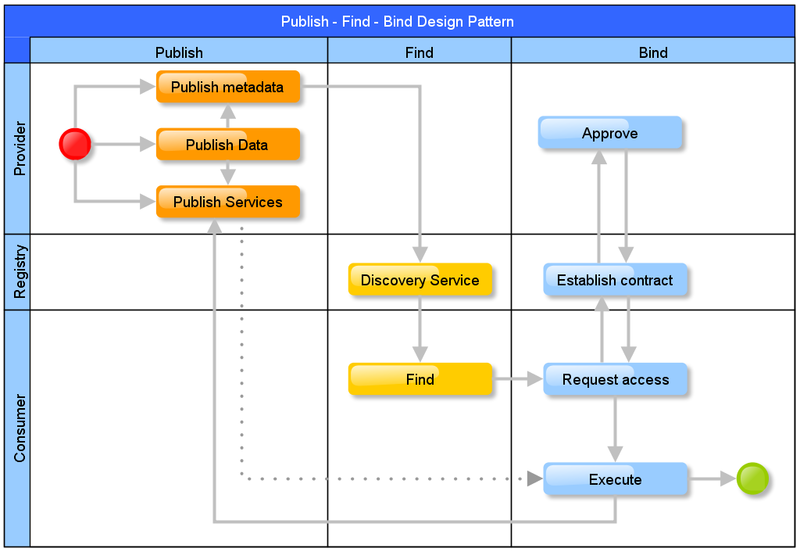 This graphic shows the steps of the Publish – Find – Bind design pattern prevalent in contemporary interoperable networking services. 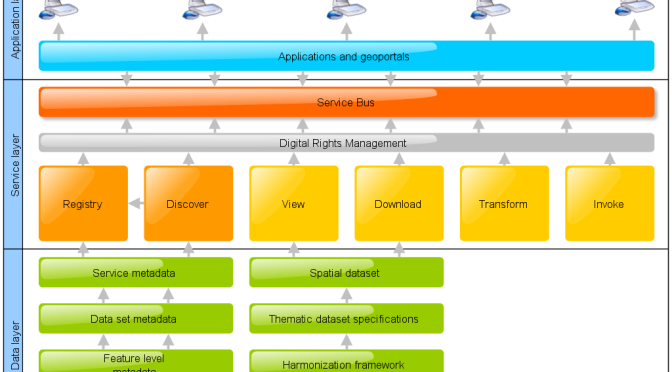 This graphic shows the layers and components of the INSPIRE networking service architecture as defined by the technical annexes of the European Union INSPIRE directive for geographical information.